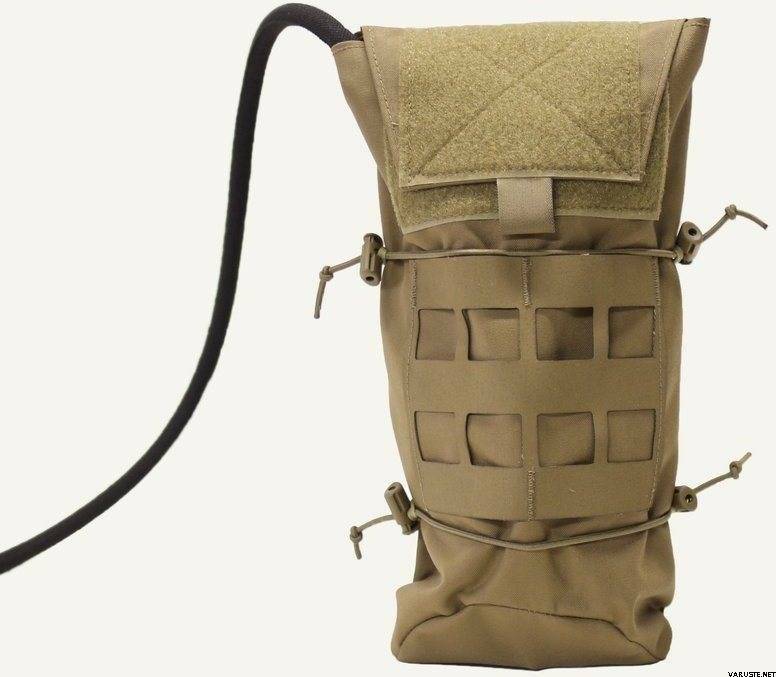 Ferro Concepts Aqua Pocket Pouch 2L (Coyote Brown). 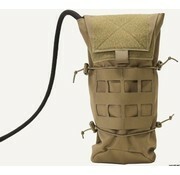 The Ferro Concepts 2L Aqua Pocket is a lightweight, low profile option for holding a 2L bladder. 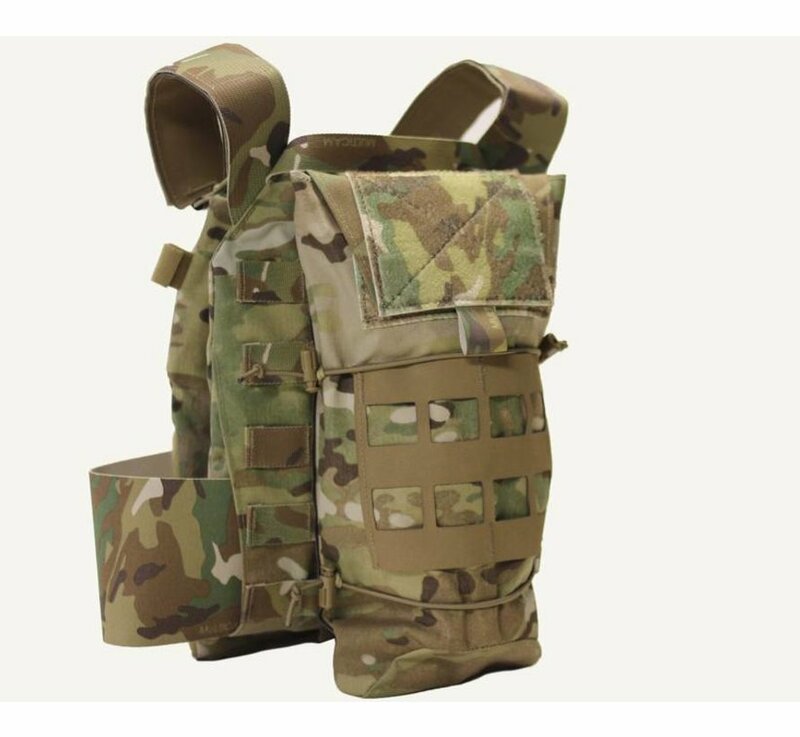 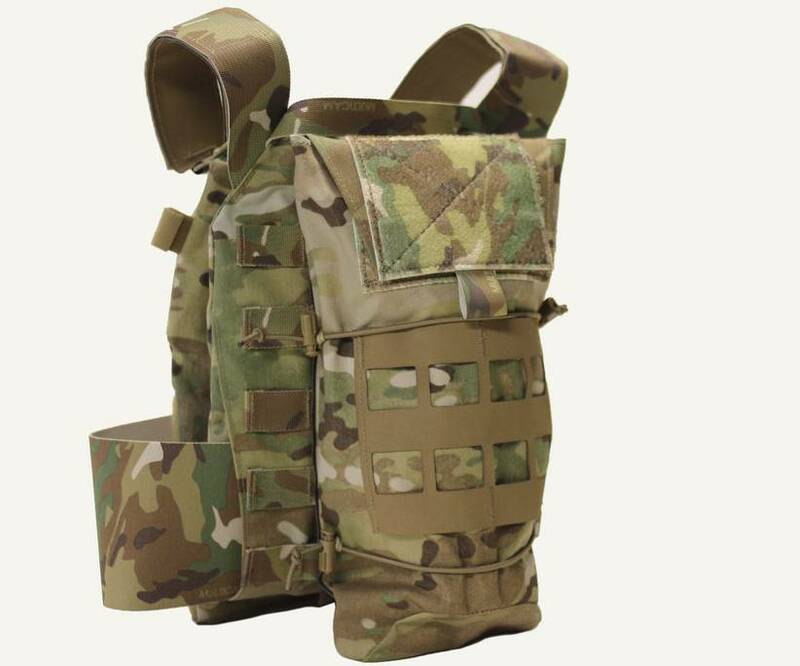 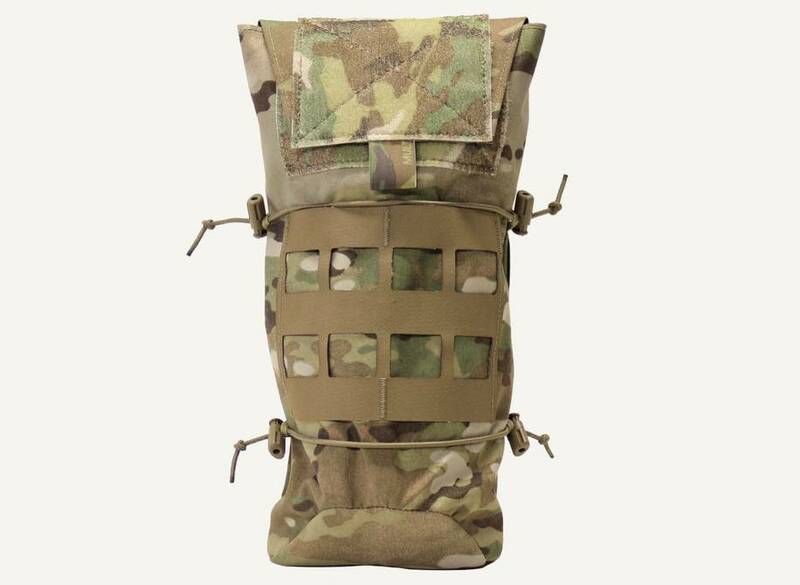 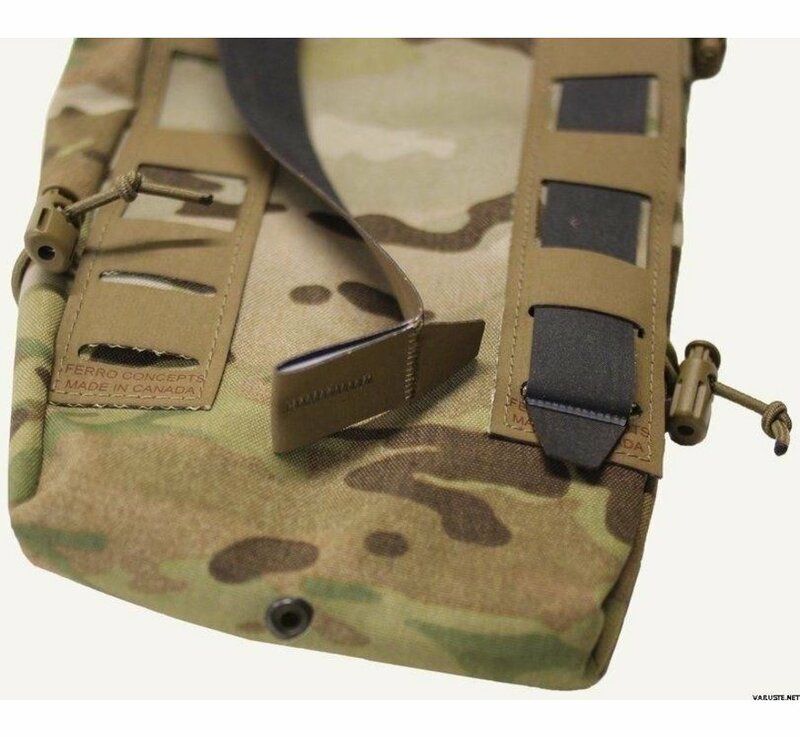 The Aqua pocket features our MOLLE compatible S3 system - the lowest profile MOLLE compatible system available. 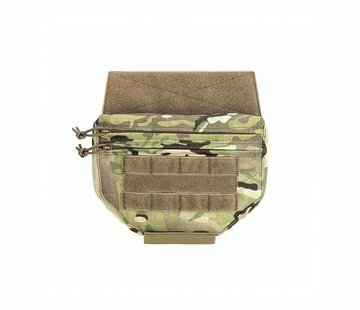 The S3 system keeps water close to your body eliminating excess movement of the bladder. Adjustable shock cord retention further helps to secure the bladder from movement at varying fill levels. 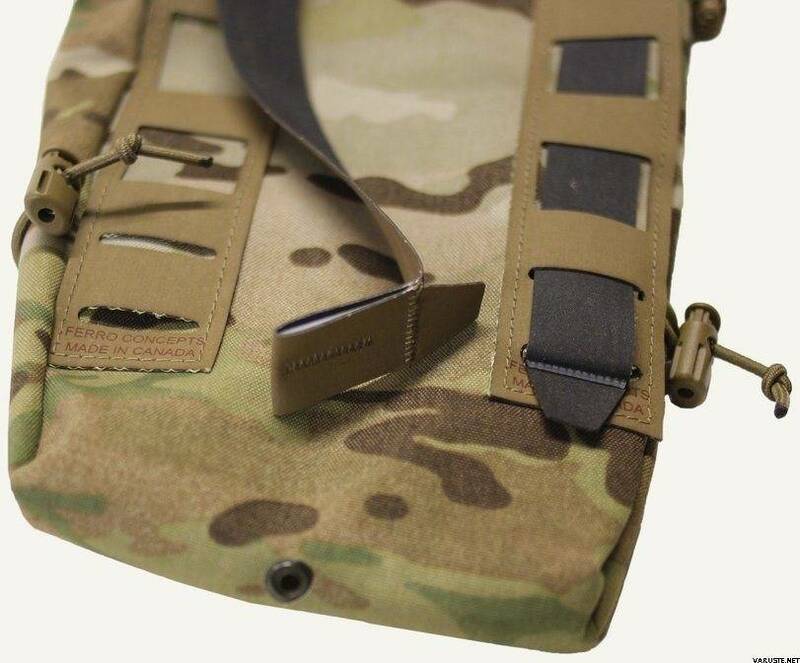 We added large loop Velcro to the flap for attaching patches, V-lites, etc. 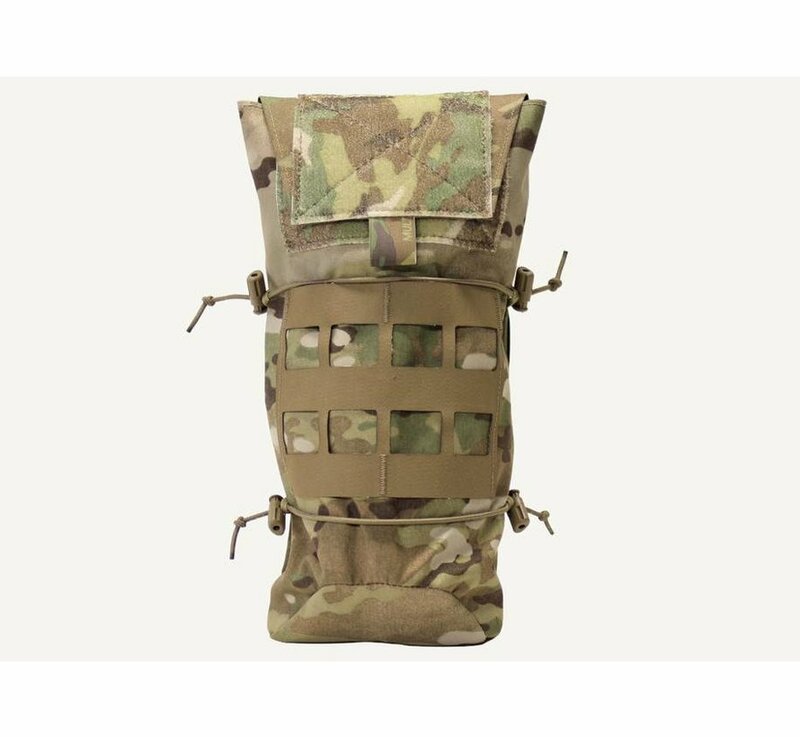 Weighing in at only 129 grams, the Aqua Pocket is one of the lightest weight hydration pouches on the market. Available with or without a 70 Oz CamelBAK Mil Spec Antidote Reservoir.